In the middle of a hectic schedule, it can be hard to eat well. If you don’t have time to cook a healthy meal or enjoy the high-quality offerings of a sit-down restaurant, you may feel like you have to compromise with fast food. While quick and convenient, most fast food chains don’t offer much in the way of fresh produce, health-conscious options or customizable creations. With more and more health trends emerging every day, many people are beginning to evaluate the goodness and nutritional value of the foods they eat. Healthy options are shifting to the forefront of the restaurant industry, and many big-brand fast food companies are fighting to keep up. Unfortunately, pre-made salads with fried chicken aren’t really that much healthier than a burger or chicken sandwich. You may feel like a perfect balance between fast food and fresh food doesn’t exist, but Freshii is here to introduce you to the future of good food, fast. After working for Oscar De La Renta’s marketing team, Freshii founder Matthew Corrins decided to turn his focus from fashion to food. He realized that both the fashion and food service industries centered around fast-paced trends. A shift in focus towards healthier food choices in the early 2000s inspired Matthew to introduce an entirely unique restaurant concept onto the market. In 2005, the first Freshii location opened its doors, offering a variety of fresh produce and healthy proteins, all completely customizable. Freshii has grown to over 300 locations across 20 countries worldwide. Matthew warrants this success to a combination of exceptional food and unique branding efforts that most other health-conscious operations seem to lack. Local franchise owner Sonia Elhence started her journey with a single Freshii location in 2013. In just five years, she’s gone from owning one storefront to six, with her most recent opening at The Star in Frisco in March. At Freshii’s new Frisco location, customers can enjoy a range of pre-composed bowls, burritos, and snacks, or create a dish all their own with extremely fresh, high-quality ingredients. While Freshii is technically a restaurant, Sonia shares that the brand isn’t just about promoting healthy eating, but a healthy lifestyle overall. We are in the nutrition and wellbeing business. We want to provide nourishing foods that are accessible to everyone, and to promote a healthy way of life. The Freshii approach to eating focuses on nutritionally-balanced meals that taste amazing and leave their customers feeling energized. No matter your palate or diet needs, you can find exactly what you’re looking for in a fast, convenient storefront. Choose from salads, bowls, burritos, wraps, soups and more, all in a fast-paced environment. Freshii offers a seasonal, rotating menu of delicious options, plus the flexible, build-your-own model that many diners have come to love. Fill your bowl with a range of tasty fruits and veggies, then pile on your favorite meat or plant-based protein. You can top it off with a signature Freshii dressing or sauce, all of which are homemade in-house. 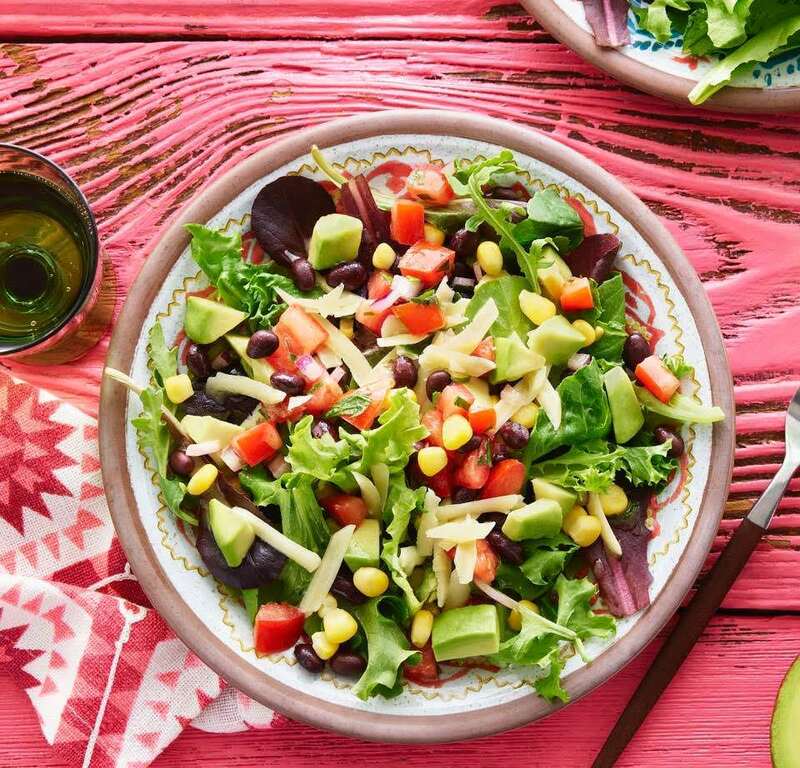 Sample some of Freshii’s best-sellers like the Pangoa Bowl, a crave-able mix of brown rice, avocado, aged cheddar, cherry tomatoes, black beans, corn, cilantro, and topped with a fiery BBQ sauce. Or, the Oaxaca Bowl where a meal is donated to a child in need with each purchase. If you’re looking for more than a single healthy meal, you can enhance your lifestyle even further with a Freshii juice cleanse or meal box program. Another standout aspect of Freshii is the brand’s dedication to sustainability. Each location must balance the challenging task of keeping food fresh and minimizing waste. All of Freshii’s packaging is a biodegradable material made from corn and potato resin, or is easily recyclable. If you’ve ever been to Freshii, you may notice that they mix up each salad in a bag instead of a bowl. Their unique corn resin bags allow Freshii to reduce their carbon footprint and keep waste to a minimum. Storefronts are also designed to fit efficiently in small spaces and constructed from eco-friendly materials whenever possible. No matter the design, each location is mission green approved and dedicated to a cleaner, greener earth. In May, the Biiblios Bowl made its way to the Freshii menu. This flavorful, Moroccan-inspired bowl includes superfoods like quinoa and chickpeas, tossed with walnuts, feta cheese, spicy harissa tahini dressing and more. The next time you visit Freshii, be on the lookout for July’s new menu feature: the Kale Caesar Salad. Be sure to pick up a Monii card for yourself or a friend so you can enjoy the taste of Freshii every day. Or, take your love of Freshii on-the-go with some tasty takeout. The Frisco location delivers with GrubHub, Doordash, and UberEats, or you can order a larger catering order for your next office lunch! The Star in Frisco is loaded with entertainment and dining options. Next time you’re there, choose something fresh, fun, and flavorful. Choose Freshii!